What a fun season of racing and training I was blessed with in 2018. It included an epic training camp in Helen, Georgia with my mates in April, a trip in early May to Virginia for a return to long course racing at MonticelloMan (my first half iron since 2013 – great event…I’ll be back next year), then on to my A-race in mid-August at the USA Triathlon Short Course National Championships in Cleveland, Ohio. In between my spring racing and my A-race I was able to get in a few local races which had me in good form going into Cleveland. Unfortunately due to strong currents on race morning the race in Cleveland was turned into a duathlon (run-bike-run). 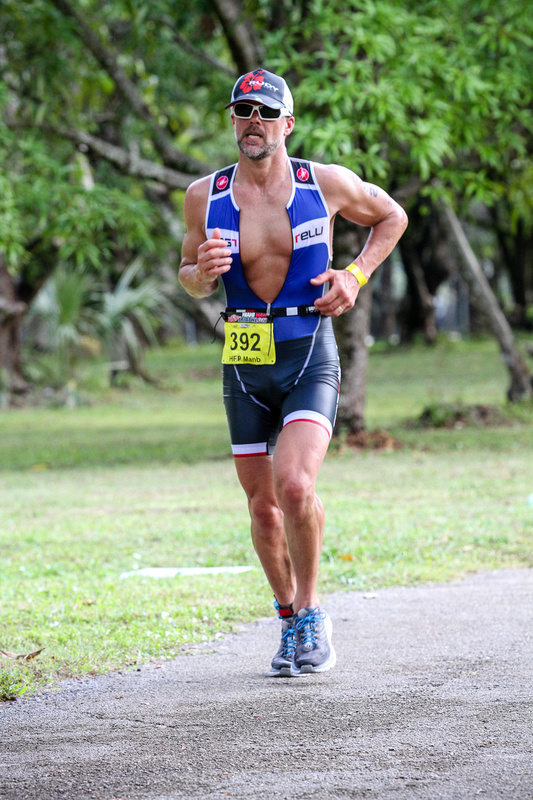 I had a good result finishing in 5th in the 45-59 age group but not getting to race a true triathlon at my A-race left me feeling a bit empty after putting in 10 hard weeks of training. After about a week of bad eating and drinking (my wife would argue this…it was bad for me) along with about a third of the training I was putting in previously I decided I wanted to get in one more big race before I called it a year. 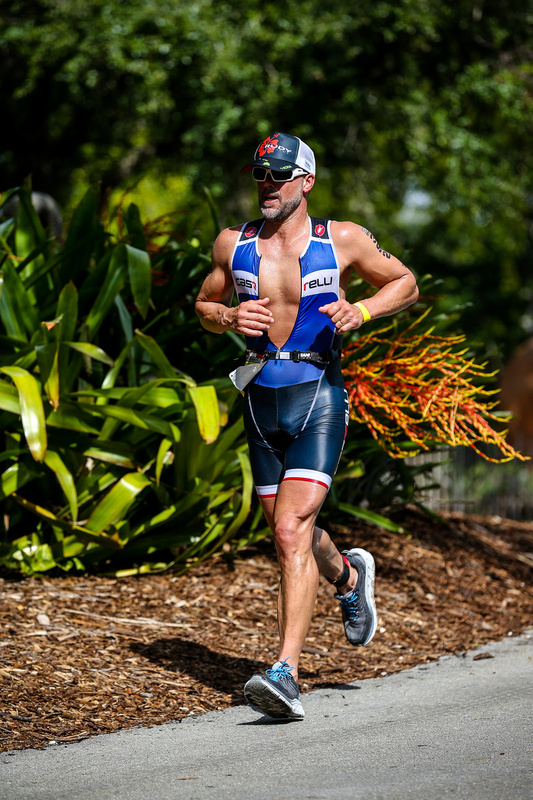 After “convincing” my wife Jennifer to let me do one more big build up and race I picked the MiamiMan in early November which served as the USA Triathlon Long Course National Championship. I told Jennifer it would make for a great “vacation” for the family. I promised a hotel away from the race venue and loads of time with the family. 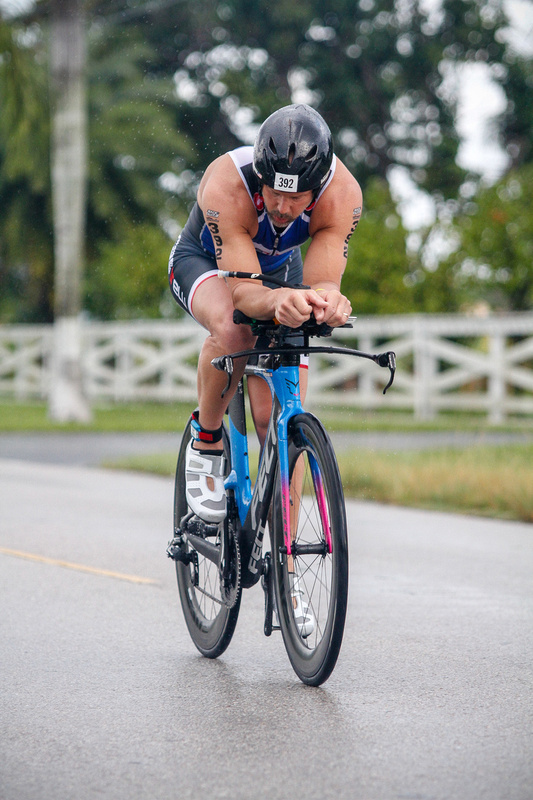 The MiamiMan is a great race that I’ve raced 5 times when I was in the 40-44 age group and I’ve always found it to be a big challenge with the weather always being hot. 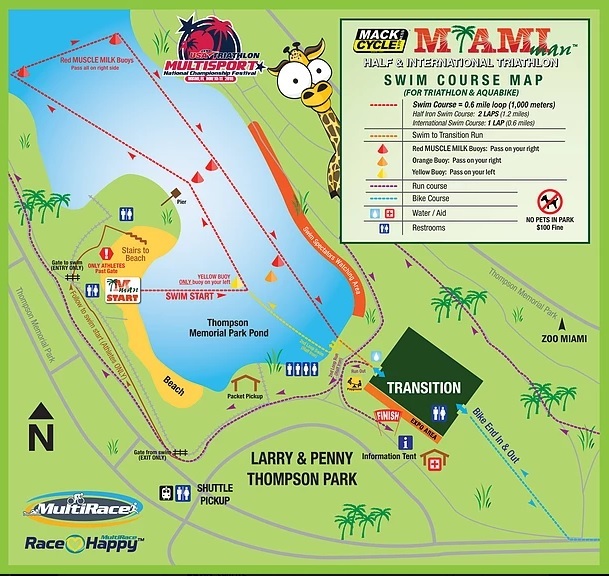 The race is located outside of downtown Miami in a smaller remote venue at Larry & Penny Thompson Park next to the Miami Zoo. The race starts off with a challenging 2-lap 1.2 mile swim in a very small pond/lake in the park. Due to the small lake the course gets very congested and that usually means slower times. The race then heads out onto a flat and fast 56 mile bike on lightly traveled roads. 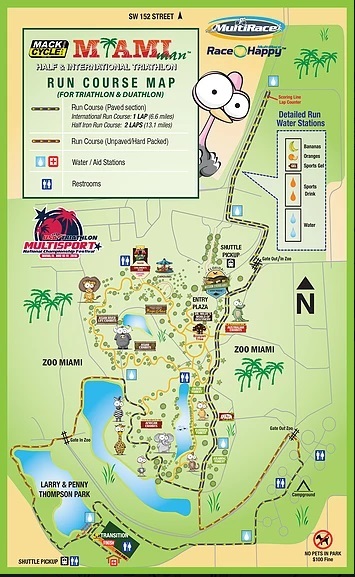 The race finishes with a 2-lap 13.1 mile run that features sections inside the Miami Zoo. The run almost always features lots of sun and temperatures in the upper 80’s. We left Ohio the Thursday before the race with temperatures in the mid-30’s and snow on its way. The family was super excited to get to warmer weather and lots of sun. With the sun going down just after 5pm in November it can get pretty hard to keep training for an A-race. I was ready to be done with the hard training and looked forward to the big test. As promised I got us an apartment no where near the race venue and close to the beach. 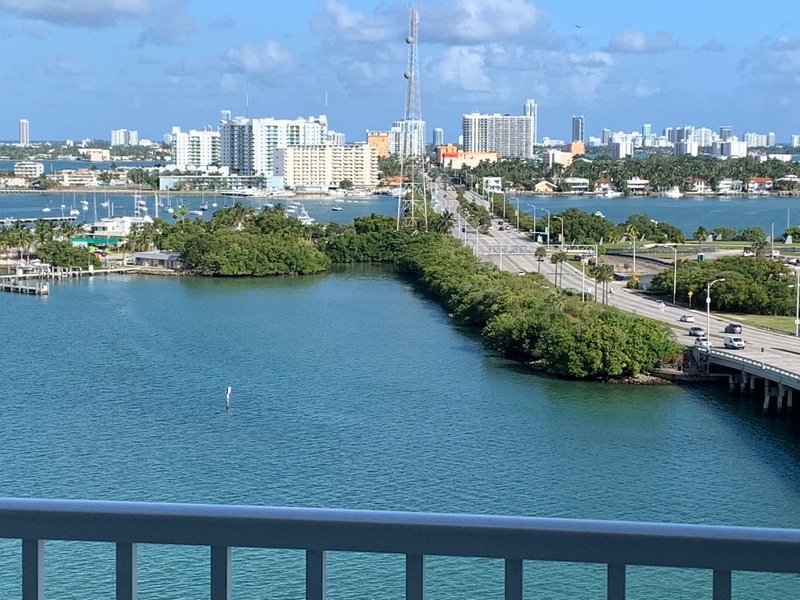 The first thing we checked out when we arrived to Miami…the pool! After a couple nice days of RnR with the family by the pool and the beach it was time to check in at the race site and get my full MoJo on for race day. It’s amazing that I traveled to a race so far from home and as soon as I parked at the venue I run into Daniel Smith from Team PR Racing in Vermilion, Ohio. Shortly after that we bumped into the Hart brothers and enjoyed some nice catching up after we checked our bikes into transition. Before leaving the race site it was announced the water temperature was well above the legal limit to allow for wetsuits. That was a little stressful news as I’ve spent the last 10 weeks training in my ROKA cheater suit for all my swim workouts to prepare me for a wetsuit swim. 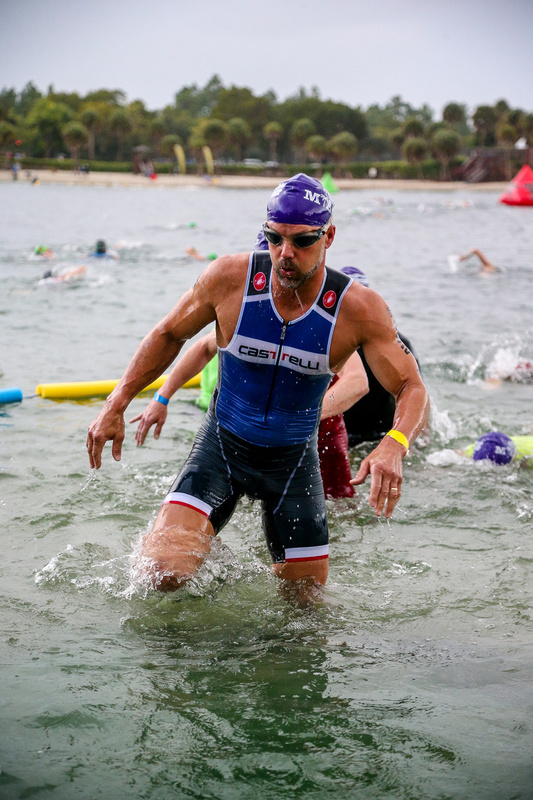 This would be the first time in the history of the race that the water temperature was not wetsuit legal…BUMMER. I only came with racing apparel that worked for a wetsuit legal race. I did not bring my speed suit or even a tri suit to race in. Oh well…I guess I’ll fight to put on a tri top over a wet body…that should be fun. Time to get back to the apartment and watch the Buckeyes vs Nebraska! OMG – another stressful game but at least a win. I spend the rest of the day at the pool chilling with the family. Race day wake up call arrived very early (3:00am), as our parking pass required us to be at the race venue by 4:30am. After dragging the family out of bed and into the rental van we arrived just after 4:30am to a very busy and packed parking lot. The temperature was already 76 degrees and storms were looming. 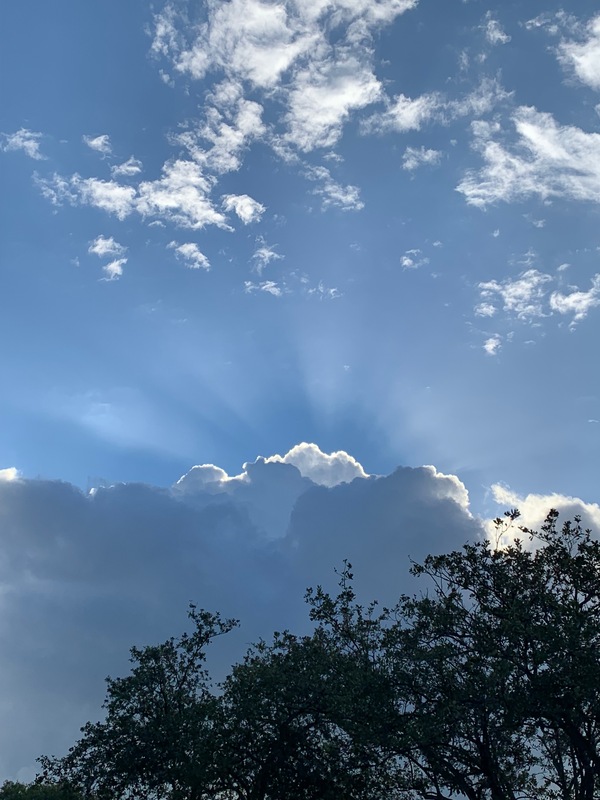 After pumping up my tires and staging my equipment in transition the rain started…then the clouds opened up and a heavy rain flooded the staging area and all my running equipment were soaked by the time I found a couple bags to cover them with. A huge mistake by many athletes before big races is making major changes to their race equipment…something I “normally” would not ever consider. However, after being trapped under the outdoor expo tent for 20 minutes while the storm passed through I made the rash decision to purchase a tri suit for the race instead of fighting my two piece HFP uniform. Not only was this a major no-no by most triathletes I was giving up the ability to represent my own company. It did fit really nice and I was convinced it would be better than fighting a two piece uni after the swim. The storm delayed the first swim wave by about 15 minutes which was fine with everyone as the rain slowed and would eventually stop before wave #2. I was in the 4th wave which meant I was going to be swimming through a lot of slower swimmers from the earlier waves and with the swim being no wetsuits I knew the swim would be slow. I exited the water in 35:47 which was the slowest time I’ve ever swam the course in 6 race attempts. With a wetsuit I swam the course between 29 to 30 minutes from 2010 to 2013. Out on to the bike course I had a simple plan to race by power and not pay attention to the competition around me. The plan was to average around 275 watts which should get me in around 2:15 to 2:18 and around 24.5mph to 25mph pace for the 56 miles. My legs felt awesome and I was enjoying passing the earlier age groups on this near windless day. Around mile 6 a fellow 45-49 age grouper slingshot around me and seemed to be pushing similar wattage than myself so I made the decision to sit back about 20 meters and let him make the pace until I make my final attack with 10 miles to go. This plan was working quite well until mile 30 when we caught the leader of our age group. This guy immediately jumped on his wheel and sat up next to him for a convo of which I can only assume was “lets work together” as the two then teamed up switching on and off drafting off each other. I was blown away that two nearly 50 year old dudes would make the choice to cheat so blatantly off of each other. This normally would of had me raging but I was again content to sit back in a legal position and watch my watts. At mile 40 their pace dropped significantly as they picked up another rider and now all 3 were switching off in the draft. Now this was all I could take and I pushed my watts to 415 and went left of center around these guys cursing simultaneously as I passed by them (sorry Mom). After about 3 minutes at 415 watts I moved down to a more manageable 315 watts which was my plan for the final 10 miles…I was just forced to move this plan into play with 15 miles to go. I was enjoying my solo ride and with 5 miles to go I was caught off guard when the 3 riders came riding by me again. At this point I realized it would only take up needed energy to re-pass them so I sat back at 20 meters and followed them for the remaining miles. The crazy thing was as soon as they passed me my watts went from 315 to 275 and then eventually 250. It was all I could to not pass them again in a rage filled attack. 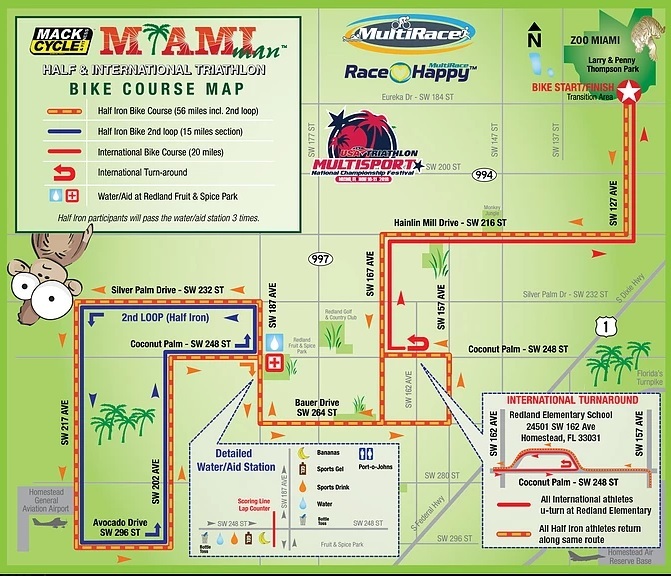 I was super happy with my bike ride as it was the fastest I’ve ridden the MiamiMan bike ride for the full 56 miles. The 5 previous races my best time was 2:15:54 but on a 54 mile course with my slowest effort being a 2:28 ride (2009 and 2012). After a pretty good transition, which included putting on soaking wet socks and shoes, I set off on the 13.1 mile run course. My left hammy felt tight and the sun was now in full force which made the air feel thick and stuffy. My first big mistake of the race was racing in my short course running shoes which have laces that are tied very tight. After about 3 miles @ 6:52 mile pace my feet started to go numb and I knew I was going to have some major problems if I did not get my shoes to loosen up. The solution I decided was to stop a mile 5 and remove my socks! Yep..remove my socks at mile 5 of a hot and humid 13.1 mile run. It’s amazing how poor your judgement can be when the majority of your blood is working your muscles and not your brain. By the end of the first lap I had slowed down to a 7:33 mile pace and the morning was now approaching the mid-80’s. I was just praying my feet held out and my pace would not drop too much more during the final 6.5 miles. I ended up holding a 7:34 mile pace through mile 10 before the wheels started to come off…literally! My feet were on fire and my hip flexors were no longer willing to move my legs at a 7:34 pace. I dug deep and with 1k to go Ezra (my youngest) found me on the course and ran alongside me encouraging me to keep it going. My final run time was 1:43:24 which was a 7:53 per mile average pace…that was a really slow final 3 miles. The giant blister from my decision to go without shoes for the final 8 miles…ouch! 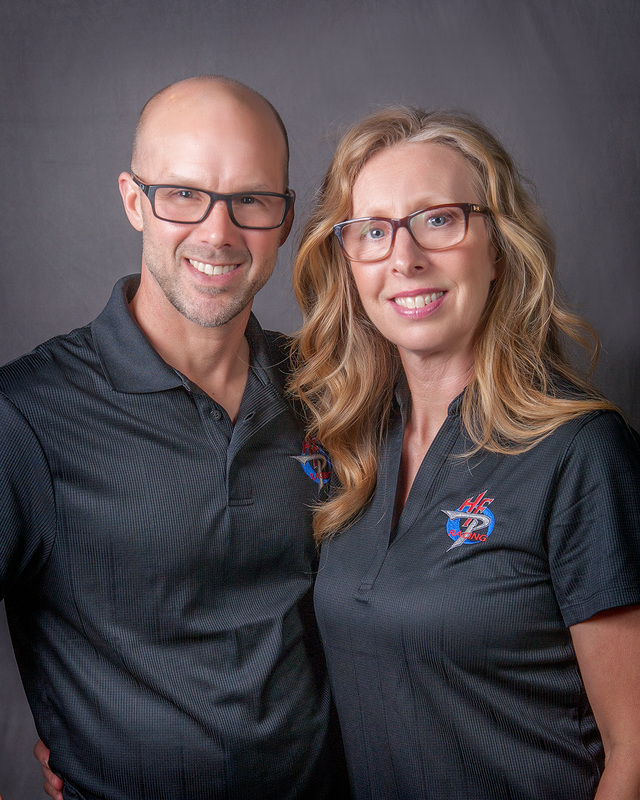 In closing; I feel so blessed to be 49 years old and healthy, strong and most importantly… a well supported father, husband and triathlete. What a great experience MiamiMan was after a 5 year hiatus. I highly recommend this race to anyone wanting to finish their season at a spectacular event.